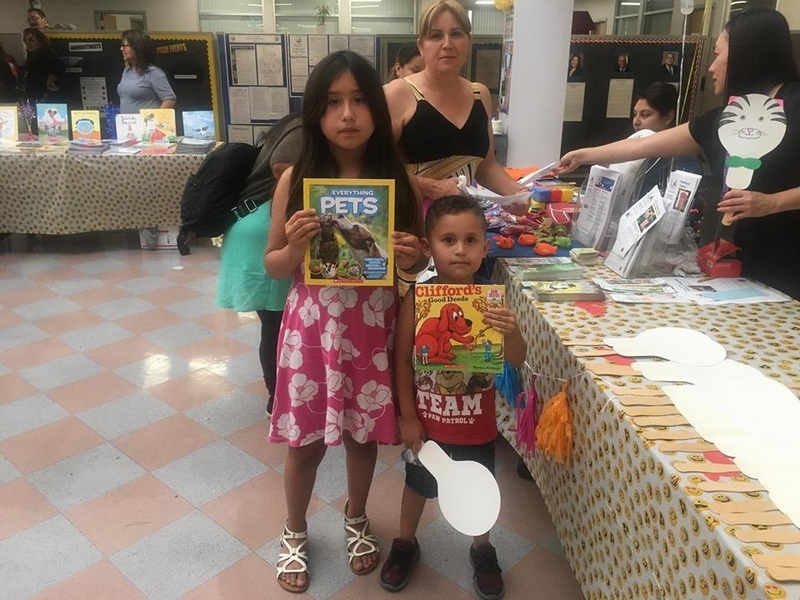 Lynwood – More than 250 students and their families journeyed through a world of books on June 27 when they enthusiastically flipped through pages of classic tales and even read passages aloud. The young readers were inspired by their favorite stories during the Lynwood Unified Scholastic Literacy Event, which gathered administrators, teachers and children at the District office. 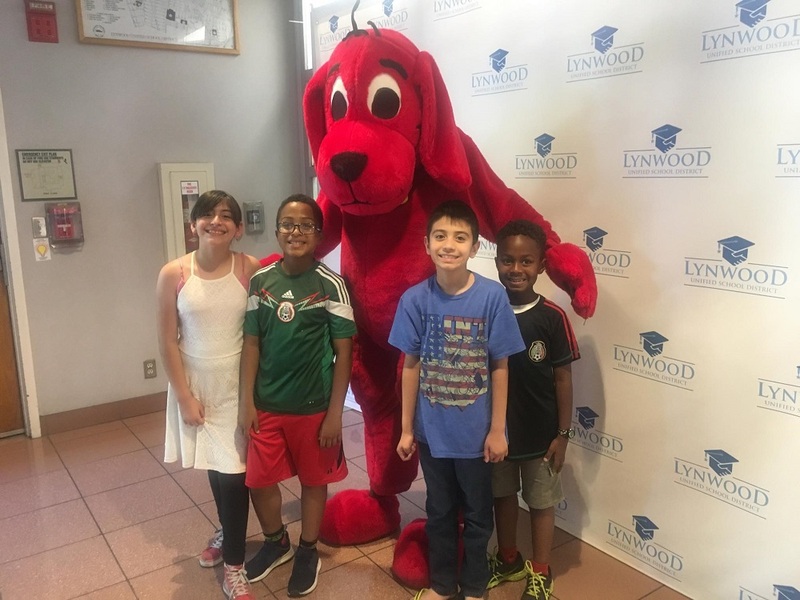 Students posed for pictures with Clifford the Big Red Dog® before choosing up to three books to take home with them. The books were provided by the District, Scholastic and community partners. “This event is great because it encourages my daughters to read and teaches them the importance of using their imagination,” parent Karina Munoz said. Students cheered with excitement as they lifted “Charlotte’s Web”, “Everything Pets”, “Lola Love Stories” and other popular titles on display. Lynwood librarian Kim-Ayn Nguyen also attended the event and signed up youngsters for library cards while encouraging them to continue pursuing their passion of reading. Scholastic Literacy Events are specially designed to empower families to support their children’s academic achievement through interactive activities – giving them the tools and skills necessary to build a culture of literacy at home. According to teacher survey data released by Scholastic, 98 percent of teachers said greater “family involvement and support” has a strong impact on academic achievement. 071018_LUSD_LITERACY1: Lynwood Unified students pose with Clifford the Big Red Dog® during the District’s Scholastic Literacy Event on June 27. 071018_LUSD_LITERACY2: Children were allowed to choose up to three books to take home with them during the District’s Scholastic Literacy Event on June 27. Lynwood Unified students pose with Clifford the Big Red Dog® during the District’s Scholastic Literacy Event on June 27. Children were allowed to choose up to three books to take home with them during the District’s Scholastic Literacy Event on June 27.